Includes conventional oil up to 10 quarts, 2.5 gallons of diesel exhaust fluid, bank 1 and bank 2 fuel filters if applicable as well as an all wheel tire rotation. Complete fluid check and top off of brake, power steering, and washer fluid systems. 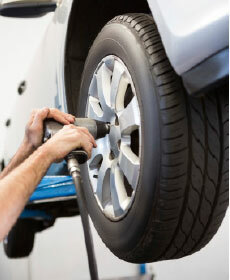 Also check and adjust tire pressures to manufacturer specs. Includes up to 6 quarts of oil and original equipment oil filter. 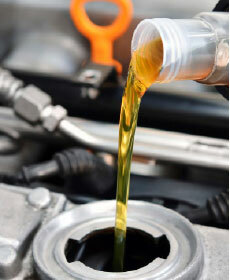 Complete fluid check and top off of brake, power steering, and washer fluid systems. Also check and adjust tire pressures to manufacturer specs. Includes up to 10 quarts of oil, 2.5 gallons of diesel exhaust fluid, complete fluid check and top off of brake, power steering, and washer fluid systems. Also check and adjust tire pressures to manufacturer specs. Front end alignment includes the adjustment of three major wheel angles. Caster, Camber and Toe-in adjustments are made to manufacturer specifications to ensure proper handling and tire wear. 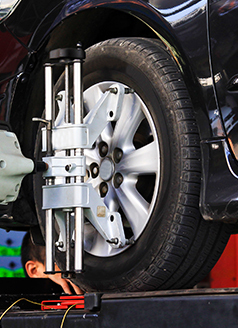 Four wheel alignment includes the adjustment of the front wheels Caster, Camber and Toe-in as well as the rear wheel tracking as necessary of tire to improve stability, proper handling and tire wear. Road force balance simulates road contact to ensure proper balance to each tire to improve stability as well as a four wheel tire rotation to optimize tire life and even wear. Replace the micro filter that removes dust and pollen as well as other allergens from the air that enters the cabin of the vehicle through the ventilation system. Effectively helps reduce airborne particles. Replaces the engine air filter which ensures that the engine is receiving the proper air for maximum efficiency. Includes manufacturer direct rotation of tires, inspection of wheels and tires for damage, adjust tire pressures as needed and re-learning of tire pressure monitoring systems. Includes the inspection of tire alignment with printout of vehicle alignment. Coupon valid at vehicle check in. Complete diagnostic system scan. Figure out why that bright check engine light is on. See your service advisor for details. Coupon valid at vehicle check in. 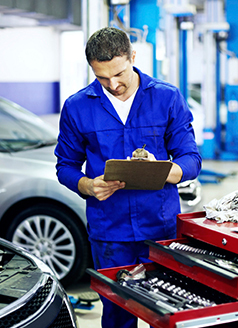 Complimentary 27 point inspection of fluid level, steering, suspension, wiper blades, exhaust, undercarriage, belts and hoses.